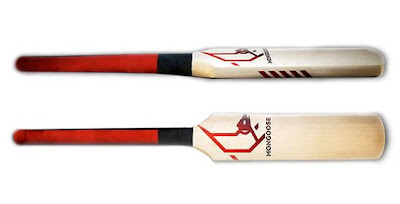 The Mongoose bat with a handle as long as the blade, MCC has approved this bat’s design. The designers claim that whole blade is sweet spot. That means even the balls hit on the tip of the bat too can easily cross the ropes. The first person to use this bat was former Australian batsman Stuart Law during a county Twenty20 match on Tuesday night. "The Mongoose has the potential to revolutionize cricket," said Law, who is contracted by the bat's manufacturers to show its powers. "Without changing your technique, the bat allows you to hit the ball harder and further. Its power is phenomenal. It's a weapon of mass destruction." The ICC has no problems with that prospect because it complies with MCC law, although, looking at its design, some wonder how that could be. The MCC found that it met all requirements under law six of regulations regarding the make-up of a bat, and they are not concerned about the possible ramifications for bowlers. WHO WILL LAND THE PROTEAS JOB?